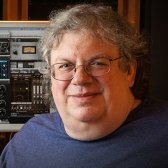 Grammy award winner Mick Guzauski teaches you how to create balance and add life to a track using subtle and intentional moves to craft a perfect mix. 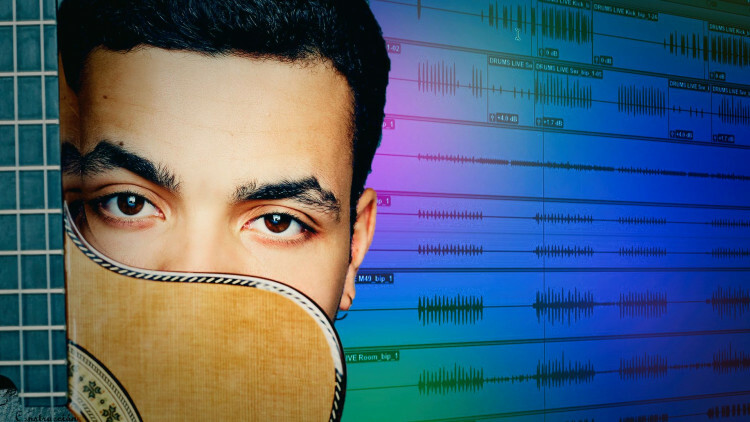 Learn how to skillfully balance countless tracks and thoughtfully enhance the producer’s vision for Ady Suleiman’s song “What’s The Score”. This tutorial is for any engineer or producer looking for techniques they can use to create definition and clarity in their mixes. See how an award winning mix engineer first creates a solid instrumental foundation and then gets the vocals to stand out while still sounding and feeling completely natural in the mix. If you want to see how a professional mix engineer crafts a killer pop mix and learn tips and tricks that will inspire you to try something new on your next mix, then you need to watch Mick Guzauski mixing Ady Suleiman. Hi kids, I’m your substitute teacher, Mr. Guzauski. Now I don't want to hear any screwing around and stuff like that today because we got lots of ground to cover, and it's really important. The song we’re going to work on today is called “What’s the Score?” The artist is Ady Suleiman, an English artist, really great artist, great song and we’re going to start by listening to the rough mix they sent me with the tracks so we can get the vibe of the whole thing, see how they put it together and everything then we’ll just try to make a mix that’s a little more exciting for the record. After listening to the rough mix a few times and getting the vibe of the song, where things fit and everything this has already been done, in this session, but I go through all the tracks see what’s doing what, and I group them in groups that I would like to work with and color code the groups so I know where everything is, so here we have live drums. Then we have programmed drums. And then a VCA master for all the drums. This is because when I’m mixing in my studio at home I use the S6 and you can spill all the tracks from a VCA. Like, if I have the VCA I can just attention it and all the drums will come up. So I could have a very large mix in a small space. After the sequenced drums, then we have all the percussion. The effect and the bass, I put those on one, which doesn't matter, because I've got the audio split out to two auxes, so I have control over those groups. We’ll get to that in a minute, how I do that. Then we have the keyboards, the VCA for them. The guitars, the VCA for them. Horns, strings, VCA for them. There’s a bunch of sampled voices, that’s what this is. So this is sampled backgrounds and stuff. Then we have the real backgrounds, and then the lead vocal, and then here’s the audio groups. Every group that I want control of is assigned to one of these AUX faders. In the case of this mix, there's twelve of them. Those feed the stereo bus to feed the master mix. The stereo bus is also an AUX. I put the final processing, the bus EQ, and the bus compression limiting, anything I want like that, goes on this master bus. And then that feeds this track, which is the mix! That’s my template of my set up. I do that in every mix, no matter what song it is, just to organize it. Now, after hearing the rough mix a few times, I think on this, and I do most of the time, I go for the rhythm section drums, bass, and the main chordal instruments, and build from there. And I usually go sort of from middle of the song, I think I'll probably go from the chorus here just to check out the drum sound, check out each individual tracks. So let’s start working on getting a balance and sound on the live drums. I’m going to go over here to work on the levels and the balances, this is an Avid Artist control surface. I like to work with faders, I’m old fashioned. Started, grew-up on a console, so. Um, even though I work a lot in the box now, most of the time in the box I like to have faders, that’s why I have the S6 controller at home. It feels like a console. Now, I know what I want to do with this kick. I’m going to go to a FabFilter Pro-Q2 EQ. This kick has a lot of energy, around 150-200 Hz, which is really what, I want to get rid of some of that to make some room in the low mid range. You can hear the kick is very low middy right now, so if you want to find exactly where you are on this equalizer, you can solo where the filter is. The default Q setting on this equalizer is 1, if you’re in a Bell mode. And it sounds like that peak is a little narrower, what I want to get rid of, so, we just change the Q to 1.5. So we’ve got that tenuated in the kick, to just clear the low mids out. We want a little more attack, and a little more low end. That’s pretty good down there. Doesn’t need much. And I’ll show you what I’m going to be doing with that next. Maybe a little in the mid range here. The reason I did that boost, it’s about 1600 Hz, or 1500 to 2K, in that area, is when I add the attack, it adds like a little tick to the beater, but I wanted to get something a little bit under that so it doesn’t sound small, so it doesn’t just have kick and low end, we want just the whole sound to meld together. And also, this kick isn’t really low pitch, and I think I want something with a little more bottom on it. So, I’m going to go to another plug-in here, Avid has this: Pro Subharmonic. and this generates frequencies below what the actual fundamental is. You see, it just gives a little weight to the kick, putting that little subsonic in there. O.K., let’s go on to hear what the snare’s doing. They already have it gated. Again, I think I need to EQ that some. I love this equalizer because of the graphics of it and how easy it is to use and also, a nice thing about this is every time you click on this line, the zero line, you get another band, up to 24 bands. Very easy equalizer to use. I wanna take a little bit of that ringy-ness out there. So, next on the snare I just want to get a little bit of air, a little bit of definition on the tops. Okay, and now I want to work on the bottom of that. It looks like they have it filtered, but I wanna get a little bit more on the low end of it if I can. Not really much there to get, but a little boost around 100 helps it. I’ll play it a couple bars without EQ. I want to try adding a little more attack to these also, because I know there’s a lot in this mix that’s going to have to cut through. I’m going here for the Sonnox Transmod, a plug-in that you can increase the attack or decrease the attack of a track. You don’t need much of this. It just boosts the leading edge of it for a little more punch, and you have adjustments on it, where you can adjust how long it takes for the transient to rise or its boost of the transient to rise, how long it takes to recover, and the amount, and the overshoot, how long the action of it lasts. Probably work at about the same settings on both the kick and the snare, so I’m just going to copy it over here. Makes it a lot snappier. Let’s go to the Hi-Hat. That sounds pretty filtered, too, but let’s leave it like that for now. I think that’s going to work. Overheads: Sounds pretty good, except I think it still has some of that low-mid characteristics, so it’s a little too much in the drums in this. And a lot of these drum tracks have a little too much, you know, 200-300 Hz. Let’s go back to the equalizer here. And we’ll just switch this band of EQ to High Shelf. And it clears the cymbals up nicely. So I’ll play a couple bars without the EQ and then a couple with. Then there’s two room mikes. We’ll see what we can do with these. Maybe those will be cool the way they are. Let’s hear the whole kit together. Okay, let’s leave them for now. We have a lot more drums to put in here, so. Let’s see how it all works together. Next, we’re going to work on the sequenced drums, the programmed drums. Now, I may not be completely done with what I’m going to do with the live drums whether I’m going to use any other room or reverb on it, but I don’t want to get too detailed before we get the whole song put together. See how everything works together first. These were just things I was sure I wanted from hearing the rough. I’m going to see if I can find a place where both the programmed kick and the live kick play together so we can see how they’re going to blend. O.K. I’m going to leave that programmed kick alone for now with EQ. Let’s see what the programmed snare sounds like. Let’s hear it along with the real snare. I’m not going to want to change anything about that yet, because the real snare is giving it the attack. And, now we have another snare here. See what this one does. Yeah, it seems to add some weight to the live snare. See, now I’m thinking it’s very nice that they had the live snare thin, because it’s just adding a nice attack and definition to these programmed drums. This, this is called Butcher. We’ve got to see what this is. Hearing all that together, I want to go back to the live kick and make it a little punchier. So that all works together nice there. Notice I already have this, all these things panned where I want. But see like this HiHat, I want to put a little more on the left, so I have this right channel panned a little more center. This needs to be brightened, I think. And I like, actually, if I know I’m just going to brighten something on the top, I love this equalizer to do it, the Sonnox. We see the middle eight drums for that section of the song. But, let’s listen to the drums go into that section so we can make sure the balance is at least close to what we’re going to want. So I turned those down a little bit from where I had them because I know from the rough, I don’t think we played to the middle 8 in the rough, but I know from, from the rough that the middle 8 dynamically goes down in the song, so I’m going to skip over the other percussion now and I want to go to the bass. So we can just have our bass and drum group. So in the choruses, which is where we started before, there’s an 808 Bass. Let’s hear that 808 Bass with the drums. O.K., so now that’s balanced, and also I just want to have a little aside here that notice that we have this, when we have the sequenced drums, programmed drums, in with the live drums there’s reverb and room already on one of the programmed snares so that’s the reason why I didn’t wanna go, “hey the snare’s dry, I want to put some reverb on it” because the combinations are taking care of that. I might add a little later if the, when the rest of the track’s in if it sounds too dry, but for now sounds like about what I want. And then, let’s check out these other basses. Now that has, sounds like his cut has a click at the end of every of every note there, every phrase. So what I’m going to do is I’m going go to the noise reduction plug-ins. There we go, so let’s put that on that bass. This plug-in looks for sharp transients and tenuates them, if it finds them above the threshold, below the threshold, actually, that we set. And you can see how it works. It graphically shows you the wave form. It’s sort of important to remove clicks like that because those kind of high frequency spikes just really can cut through a mix and just make it sound noisy and messy So, let’s check this bass. This is a Middle 8 Bass, so it’s going to work with that other drum track. So the last bass we’re going look at is this chorus bass right here. Just get it’s balance in with the other ones here. Now, it sounds to me like the basses as a whole are are a little loud compared to the drums, so I am going to use the VCA group to pull that down. And I want to re-balance, make sure this one’s going to be loud enough. Now, see this VCA is down 3dB to pull all the basses down 3dB. I don’t want to keep that there, so all I do is assign the VCA, and then under “Edit” or, I’m sorry, under “Track” - Coalesce VCA Automation. That brings the VCA back to zero and all the faders where they were. So, if I need that VCA later I can, I like to keep them at zero so I always know my offsets. I think we’ll go into the guitars first because I think they’re a little more forward in the mix, and I can build the mix a little better with that. So we have the main accoustic guitar here. I’m going to add the other guitars, just to hear what they’re doing. Just listen for a while because I’m not going to be going back and forth and describing everything because all I’m going to be doing is listening to guitars right now, see who does what and balance them. Since this stereo guitar, the main one, is right heavy, imaged more, to the right this one that pretty much doubles it in these sections I’m moving halfway left. Let’s see what this chorus one does. I think we need a little EQ on that. Let’s go for this Oxford EQ again. Now, to me, that sounds like an accoustic guitar with a pickup, it’s, there’s no wood, no ambience in it, it’s not my favorite sound, so I’m going to tweek it a little bit, see how this works in the mix. First thing I want to do is put maybe a slight amount of chorusing or some kind of pitch effect on it. So I like that. It’s subtle, adds a little space to it. Still want a little natural room in it. Let me try, from Universal Audio, their EMT 250 emulation. Here we go, mono to stereo. I’ll just put this in line. Usually I have a reverb, if I’m going to use a reverb as a general reverb on a bunch of vocals or a bunch of keyboards I’ll put it on a send and a return. But if it’s for a specific purpose, like this little short room we’re going to put on this one guitar I’ll just put it in line and mix it right within the plug-in. Play it for you with and without it. See how that works in the mix. You should check it in everything you’ve previously done to check it in the mix, to build the mix, because it’s not infrequent that something that sounds great by itself isn’t going to work. See, I thought it was very close to being right, but I brightened it up a little bit. I thought it sounded a little better, a little brighter in with the drums. I think that works really nice. I pulled the VCA down a bit. Collectively, they were a little loud in the mix, I felt. I don’t know if this is a common problem that everybody has, but I know it’s, it’s something I always have that I have to watch is that the last thing I put in a mix is always too loud, not always, but almost always, so I just back up, listen, and make sure what I’ve just put in the mix is in the correct perspective. So, I’ll go back and just coalesce this VCA, and we’ll move on. Go onto the keyboards here. I’m deliberately waiting on the lead vocal, just so we have enough of a bed that works for it. And once we put the lead vocal in, maybe they’ll be some changes in perspective in the mix too. So, there’s a piano and a Rhodes. They’re both pretty right heavy, so notice in the panning I reverse panned the Rhodes so it gives a little bit of symmetry to it. And then, here is the Hammond. It’s in a different place, it’s in the B section, so let’s get that to work in here. I’m noticing some of these keys are a little bit dry to my taste in this mix. Let’s see what I have set up here as reverb. I know I have a few things set up at the end. I didn’t set up anything for the keys. So let me get another reverb in here now notice here I have in my template I actually have 24 sends and returns all set up. I just hide them and deactivate them. So there’s another return right there. Just activate it, call it’s keys verb, rename the send, keys verb and assign it to the keyboard bus. You now what, just for expediency’s sake right now, I’m going to bring one of these Phoenix verbs down to here, because I think they should probably work pretty good. In general, that should work fine. So let’s go back up to the keys. So this Rhodes is one of the things that sounded a little bit dry to me, so I’m going to assign that to a keys verb. That reverb is a little bit long for what I want there. So, let’s go down here to the reverb, what’s the decay time? 2. Turn it down a little bit, and maybe I want it a little brighter. Go back up to the keyboards, see how nice color coding everything works? Makes them so easy to find when you scroll. I guess we’ll add a little bit to the Hammond Organ too. I know the other Hammond track has reverb on it. Let’s see if the piano needs it. I guess at this point in the mix, just wanted to go over with you that I’ve worked more on balance than adding plug-ins and effects. At first, I added, I added quite a few things on the live drums because I felt that needed that to get the punch of the track. But after that I’ve been pretty much doing it with balances. I mean, look at it like this, the guys who produced it it all worked for them, and you just have to find the perspective that works. That’s more important than anything, any amount of plug-ins, any amount of reverbs, effects is the balance between the instruments. I’m just going to tweek these balances a little bit down here on the subs. I have the live drums on a sub, an audio sub, this isn’t a VCA sub, sequenced drums, percussion, which we really haven’t gotten to yet, effects, bass, keys, guitars I can see how these groups are going to act together, I just want to listen to what I have. just tweek things up a little bit on these groups. I may have to go back into each group and do some changes, too. I’m going to start working on the master fader. I usually have overall EQ and compression on the master, and as the mix starts taking shape, I sort of see where that wants to be, where globally everything that I’ve worked on to have. Now I’ll go back and forth and tweek this quite a bit as I add more elements. But I like to get this started early on. It just makes adjusting all that a lot easier when it’s done. So let’s try the Oxford EQ. I like this for that. I just want a little more air on top. So, we’ll for about 10-12K. Add a little brightness at 5K, which always works nice on the radio. Now, we’re talking very subtle here. I mean, this is less than a dB in both cases. Let’s make it 1 dB even, and just call it that. Taking about 1/2 dB away at about 150, yeah, that area, Fairly wide, Q of .95. It’s just that that area is always the problem area in a mix. It always just builds up and can make things muddy. So I just try to always adjust that. You don’t have to take much out, but a little bit cleans it up quite a bit. And I think I’m going to add some low end like maybe a shelf below 50, a little bit. I went from 1dB at 5K down to .70 dB, very subtle, and above 12K, up to 1.5 from 1, and that’s because things in the HiHat range and things started getting a little harsh there with too much at 5K. O.K., so now let’s go back to the individual tracks. I want to get a little more punch and a little more focus on the sequenced drums because they’re playing through a lot more of the song, the lives ones are, and if we have too much live ones there are some flams I hear. So, on this kick here I want to add a little bit of subharmonic to that because it’s playing when the live one isn’t so we want to use this for some of the bottom end, and we’ll go to that Pro Subharmonic Good, now I want a little more attack, a little more punch on that. and go to the Sonnox Oxford Transmod again for that. There we go. So we got more punch in this kick. Now to me, now that we’ve listened to all these snares, I think this is the most important one. This one sounds the best. I think playing the most important part in the song. but I want it a little thicker, so I’m adding a little Let’s see if a little of the Transmod works. It may not, it may. We’ll see. If it doesn’t, we’ll just hear too much crack on the snare. If not, it’ll just be nice and punchy. Yeah, so I just rebalanced a little bit with the kick snare. Brought that overdub HiHat down. I think at this point we should probably add some lead vocal. Make it a song, instead of a track. Now, I have some artifacts in that vocal. The track came to me like that. It sounds like comping with, maybe the cross fade too short, or maybe maybe switching out of a tune track that would have a slight latency and then not match up with the track exactly what we wanted. But these artifacts here are very clearly with the vocal solo, and i really don’t think they’re going to be a problem in the mix. I think the track will definitely cover them up, so. If it doesn’t, we’ll have to call the client and see if they recomp, but I don’t think it’s going to be a problem. As far effects, and I have these set up already, we’ve got reverb set up for the lead vocal, and we have delay set up for the lead vocal. They’ve already been timed, so the delay is in time with the song. I have doublers set up, which is microshift. These three sends on the lead vocal They’re muted. Those are the three effects that are on the lead vocal. They’re set approximately where I want them now. I’ll go over with you what they are. Lead vocal reverb is the Phoenix Verb from Exponential Audio. Exponential Audio is a split off from Lexicon, and it’s the guy who designed the Lexicon 960, so there are some very nice algorithms in this reverb. I’m using their medium room for this. Lead vocal delay, Hdelay running in ping pong. The lead vocal doubler, Soundtoys Microshift which does a slight up and down pitch shift and detunes it up and down simultaneously. Just adds a little thickness to it. Like, almost an electronic double to the voice. The EQ on this vocal sounds pretty good to me. I’m going to use a little bit a multiband compression in here though. See I‘m just pulling out a little bit of that 500 Hz. It only really happens on peaks. That’s why I’m doing it with a multiband compressor rather than with an equalizer. Vocal will sound thin if I just took that out all the time. And while I have this here Two birds with one stone. There’s a de-esser. That high end that I’m using this de-esser, I’m going to boost it a little bit give it a little air Let it de-es down from +3 rather than 0. So we got a nice bright vocal, and the esses are under control. Did it with one plug-in. And let’s bypass it, listen to it a little bit, then with it. I‘m going to want just a regular compressor to compress this pretty tight because it sounds like the vocal is sitting at average the right level in the track it’s probably going to get lost and in some spots get too loud in others. I always ride the vocal for that too, but I like to use enough compression just to get it in close. Sounds like we need maybe about 4-6 dB of compression. I like this UAD version of the 1176 of the original blue stripe for this. That’s a very nice compressor for vocals. You see it really taking the peaks out, lets you bring up the lower passages of it. Vocal fix that sits really nice in the track with that. Now that we have lead vocals in a pretty good spot in there, let’s move on to some of the other instruments in the mix that that we haven’t even touched yet. It’s about time to check out the percussion, see what we got here. Nice bongos already EQ-ed nicely and the nice reverb came to me like that. We don’t have to do anything except for balance them in there. O.K., congas, let’s see how those sound. Maybe we should make the congas a little bit wet. It’s not so dry in comparison with the bongos, but I do like the contrast. So I’ll just insert something in here. Just try the default room. Now that should work See this track, O.K., that I’m going to want to EQ a little bit. What I’m hearing in that track is a big peak in the upper mid range. So I want to pull that down and add a little top. At the end of it, there’s a nice little snare fill. It’s almost inaudible. I caught that when we were listening to tracks before. So what I did is I cut I cut that region out. It’s actually not on the snare track it’s on the overhead track and the room tracks. So I cut this out now, let’s just clip gain this. O.K., so I clip gained this up 10 dB. Let’s see how it sounds in there. Ha-ha. Sorta cool. Let’s leave it there for now. O.K., so let’s get back to, what if we have anything else in the percussion here. Tamborine in the verse we have. I think we have a little too much bongos there. I think one aspect of mixing is that you don’t set the balances exactly the first time. You add more stuff in the mix, then you go back, rebalance some things to get it all to work together. Whatever you add is justgoing to change the perspective of something else, so, you’ll see me going back and forth to things I’ve already worked on quite a few times now because we’re getting, we’re building the mix up pretty dense right now. But I think the drums, bass, percussion is sitting pretty well now so let’s move on a little bit and this next group we’re dealing with is loops and FX. The first thing we have in this intro is this sample here. A hiss effect, which is just a little old tape hiss in there, but let’s leave that for now. Bar Crowd, that’s part of the effect. Sounds like it’s built up a little bit in the center I think it would be a better effect if we could spread it out. So let’s go to the S1 Imager here. And we hear the S1 Imager not really doing anything because it’s probably too mono. We’ll pick it up with so let’s go to the Spread. This does a one band of frequencies will be panned left, then right, then left. So it splits it up by frequency bands and pans it. Yeah, I think that helps. Let’s leave that there for now. And, let’s see what this is here. Now let’s deal with the strings and horns. They come in before the first chorus. These live strings do have reverb, but this one doesn’t. There’s a recorded reverb track for the live strings. So for this one, I’ll just insert a plug-in there, and also I want to EQ these a little bit too. Get a little air on top. O.K., let’s find a fairly airy sounding reverb. Let’s try the UAD EMT 140. Plate A is pretty bright. There were some cuts and effects in there. Now let’s look at the chorus strings up here. Now, as I said, they already have their own reverb recorded on there so let’s check that out. And there’s a couple more string tracks here, so let’s just see what they’re doing. Got that now, let’s go down to the group here, And I’d like to EQ the whole group. Pretty much going to want the same thing on everything there. I think I’m going to go to FabFilter EQ again. As far as this EQ, I’ve rolled off some bottom 6 dB per octave below about 300 Not completely losing the bottom end, but it’s bringing it down because some of the low notes in the lower parts of the strings, cellos and basses, I think were just muddying up bass and more rhythmic low end elements so I just wanted to clear that a little bit. This mid range peak just sort of cut through and you hear that before you heard any other characters so the strings, and then just adding the upper harmonics here just to hear it more in strings. And this a point I want to make also about about EQ-ing something, it’s not always making it sound the biggest and the best soloed, it’s EQ that works in the track. Because they sound a little smaller now soloed but you can hear them as strings in the track more than more than they were before. I brought them down a little bit at the VCA in this. O.K., so I’ll coalesce the VCA automation. Let’s go onto the brass, I think they’re sampled brass. And, let’s see what this one is. This brass track here the first one has reverb, these two are dry we want them to just sort of be in the same space. I have reverb for the brass already set up. It’s another one of those exponential Phoenix reverbs. Brass verb, which is already set for it on those two tracks. Let’s check that out in the track. So, this brass reverb that we’re using is the same Phoenix reverb as we used in the vocal. Now remember earlier I just copied it down and modified it. So it’s pretty much the same as the vocal reverb except the decay time is a little longer and it’s a little darker. Those are the two parameters I changed when I copied it down to the vocal reverb. It’s the Medium Hall program. Now, let’s go back to the brass sub. I want to go back to these effects tracks and check out these fills in the loop. It needs to be a little more defined, I think, so let’s go to the FabFilter EQ again. Yeah, that feels pretty good in the track. I added a little bit of a peak around 1.2K and a shelf at a little over 2K. Here it is without it. I hear some rumble in there too, so along here I’m going to do a little cut. We don’t need that, all that bottom end on it. Now, there’s this loop here that we still have to address. Let’s see what that is. So that’s pretty much the track. We have a couple sets of background vocals. O.K., so we’ve got a sampled Gospel Choir there. Another one says Gospel Choir here. Let’s see what that does. Oh yeah, I remember that one. And that’s got to be very subliminal since it’s not going with the lead. Now, what’s this one here? Voices, it says. I think that one probably works with the Bar Crowd. Let me go to find the Bar Crowd again. I’d like that a little clearer. Try a little compression on that too so we can hear the end of the line a little more. Try a little delay on that one. O.K., so on this we’ll sync it to a quarter note. I guess we’ll do a quarter and an eighth. Let’s do a little feedback. Let’s low pass it a little bit. It’s a got a little below 3K. Not too critical. Let’s feed it back like about 15%. And do about a 50% mix, roughly. And maybe we can just offset this one a little bit so the delays move apart. Now, the last one of these is Yeah, in general like a lot of these little effect vocals and everything, I try to find out where they’ll work in the mix like there was that one that goes “I’ll Be Here For You” that goes contrary to what the lead vocal is doing. But, really low it added a nice little effect. If you could hear what it’s saying, it’s too loud. But, back there it’s a little mysterious kind of effect and sort of sounded cool. So, yeah, I look for that. If it doesn’t, if I can’t figure out a way to work it, I’ll mute it. Now, let’s move on to the other VGs. All these backgrounds they are bussed to a submaster before it goes to my normal BG submaster because all of these are going to be treated very similarly. So, I can use the same EQ and compression on this and then feed the reverb if I’m going to use it after after all these so I don’t have to have a reverb EQ compression on each track. I’m going to treat this as a group. And the reason this BG sub comes before my main BG subgroup down here is so I can send the reverb from this and return it back to my final sub. If I didn’t do that, I’d have to set it separately from every track. No big deal, but it’s a little easier, I guess. So what we want to do is get this stuff balanced and then work on the group. I’m thinking maybe I’ll change this a little bit and assign these two right to the bus and just process all his BGs separately. Let me just get rid of these two for now. So with the EQ, I just added a little air on top and rolled off a little bottom, just you know get a little of the woofiness out of there, and let’s use a compressor. I think for this I want a really transparent compressor. There’s a little too much of the harmony. O.K., and We’ll need a little DeEsser after that, I think. I want to thin these a little bit. Use this MicroShift to just fatten them a little bit. Now let’s see if I have BG reverb set up. So this BG sub will just feed to the BG reverb. Before I try to get too much presence in those, let’s hear the other ones, and I think that’s going to take care of that. Now, notice I left those assigned to the background group because I think that’s going to work all going through this one sub. I’ve got all these backgounds grouped to an audio subgroup. I’ve EQed them to fit in the mix. I wanted to add a little top now so I’m adding a peak at a little under 5K for some presence and then some air way up there. The main thing I‘m doing is taking out quite a bit around 600 Hz because they had this kind of hollow quality there and this gets rid of that. So I’ll play you a little bit with it, without it, and then with it So, now that we have the balance, everything is in the mix we’re going to work on the stereo bus a little bit. Before I just had a little bit of gentle EQ. Now that we have everything in, we can fine tune this a little bit and add the compression and limiting. And now, after the Oxford, I usually go to another equalizer. That would be the Manley Massive Passive from Universal Audio, which is a nice, very accurate model of the real Manley Massive Passive. First thing I use this for is air on way top, 16K and above. And then, I think on this one I’m going to go 4.7K. Medium Q. This is going to boost the presence. This equalizer has a different characteristic there than the Oxford or other equalizers. I can only describe it as little softer. See, it seems a little broader and also it just doesn’t get as spitty up there, so. I like it to add some presence. Since we’re doing that here, I’ll move this up. Get a little low bottom end out of this too. Now let’s go for a little gentle compression on here. In this case, I’m going to use the UAD model of the SSL Bus Compressor. And we’ll set this at a fairly long attack time and let the transients go through. Fairly gentle, at 2 to 1. And we’ll go for about 3 dB of compression, I would say. You know, this compressor just has a great capability of gluing a whole mix together. We want competitive level on the mix, so I’m going to go to the FabFilter Pro-L Limiter. O.K., and let’s set at oversampling two times. So the 24-bit track or converters never clip their at unity gain. Let’s go to the Advanced so we can set that up. A little bit of Lookahead, that’s good. We always want a little bit of Lookahead so that the limiter can react just before a transient hits because the idea of a limiter the final limiter is to keep clipping from happening take very quick peaks down and try to use enough of it that your average level is way up really hot, competitive with other records but that you’re not really hearing it crushing the transients. So, let’s go to this Punchy setting here. And then, basically what you do with this, you have the ceiling set at - .1. And then you just turn up the gain to get as much limiting at you want. So we’re at maximum limiting about 6 dB. Our average level, which is that line here is about -10. There are a lot of records whose averages are about -6, incredibly loud. but when you’re there, especially on music, a lot of transients you lose the life of it, so on something like this I usually like to keep the average at around -12/-10. This display, the light blue is the input, the dark blue is the output, and the red is how much limiting I’m getting over a 10 second window. And I just noticed, we forgot the electric guitars or I forgot the electric guitars. On this one accoustic guitar stutter here, so let’s go back. I’d like to have a little more air on the vocal. But I think rather than shelving it up on the multiband here, because that’s starting at 5K, I want it above that so I am going to insert another equalizer after the compressor. Do about a 12K shelf on this. At some point we lost the lead vocal reverb here, but we’ll put it back. So here’s the EQ adding a little top to the vocal. I’ll turn it on and off. So I’m going to ride the lead vocal now so he’s in the track in the right place, not too far up front in the lower passages and not too back in the choruses. Remember, we’ve compressed the vocal before, so he’s pretty even but the track is still pretty dynamic so so I put it into the latch mode so it stays writing once I touch it. And I go through and just ride the level as I hear it and then if I make a mistake, I’m not happy with a move I make, I just backup a couple bars and do it again and go on from there. Then when this pass is done I’ll work on other things. Next, I’m going to do the same thing with the backgrounds. but then, I’ll probably, whether we do it in the video or not but if I’m actually mixing, I would go back in touch and trim mode and tweek the lead vocal, just to adjust levels word for word, make sure it’s perfect in there. I do as much of the ride as I can on the subgroups, it’s like we’ve got everyting mixed down now, it’s like mixing 12 tracks, but I could always go back and rework balances within each group and within each section. So, we’ll to to auto latch so it stays there. Let’s see, we probably want to be a little lower at the beginning here. A little tiny bit louder at the top of the verse. I think he needs to hit just a little harder at that verse. Now, there’s one more thing we have to do that is part of the idea of this song from the artists and the producers is the beginning is cut onto the end of the song also. See, that’s the same as the intro of the song. And the idea is we’re going to low pass filter, bring the song in with no top end, it’ll just be sort of a indistinguishable thing, and then it’ll get brighter and brighter until his vocal comes in. This is going to be the whole song, so I put it on the master bus. Going to use my very versatile FabFilter ProQ2. This should work good, and then we’ll set up a band of it to be a High Cut, which is a low pass filter. Set it at, let’s try 24dB per octave. We’ll experiment with this a little bit to get it sounding right, and then we’ll automate it. O.K., that looks good, so we’ll just take this here. We only have one band in this, so it’s going to be very easy. Just Band 1 Frequency Add to the automation. And now, let’s make this master track really big so it makes it nice and easy to automate. And, now we look at what we turned the automation on, that filter. Let’s put a break point. We want it about a beat before the downbeat of the verse so we get his vocal pickup without any filtering. Let’s set the grid for a quarter note. O.K., so the filter should be out at that point. Let’s hear how this whole thing sounds. And since we have this little peak in the filter here I want to just completely get it out of the circuit when the song starts, so let’s go to Master Bypass. Add that. We’ll go to Master Bypass, and we’ll start with the filter on. And right there, we’ll turn the filter completely off. And let’s just make sure. Let me check one thing at the very beginning. We start the filter at 89 Hz. We’ll go to the end now. Right here on this beat Right there. O.K., so at this point we’ll turn the filter back on. So now we go look at Filter Frequency. And at that same point we’ll put a break point in. Let’s find out where we’re going to end here. Of course, we have to do it before the lead vocal comes back in. So anywhere around here is going to be good. And we’ll just bring this back down to close 86 Hz. O.K. Let’s hear how that sounds. And look at the filter. Now, since that filter doesn’t go down to nothing we’re going to have to fade this out a little bit here, so We’ll go to the volume fade it right to the end. We’ll see how that sounds. Maybe make that fade a little longer. I’m a total tweek-aholic, so let’s see. If I wasn’t making a video I’d be messing with this for hours. So that’s it. Yeah, let’s play the whole mix back. We could print one at the same time too. And select End, and that will select the whole song from the beginning of the intro to the end of the fade so we don’t record extra things. We put the record track in. O.K., class dismissed! Detention for all of you! One week. Remarkable Tutorial :) Only component missed during this amazing walk through was the settings used for the Background vocal reverb (Exponential Audio phoenix reverb). The Reverb was added simply added for the background vocals but without explanation of plug-in settings used. Fantastic! Learned a lot, about everything, including how to better organize my own Pro Tools sessions for mixing, which was very exciting. Can't thank you enough. I can't express how much I admire you work Mr. Guzauski! It would be like a dream to me if you could share with us the mixing process of the song "Fragments of Time" from the album "Random Access Memories" by Daft Punk. I love absolutely everything about this song and I would love to see a tutorial based on it, if it's possible, of course. Sorry about my poor English, it's a work in progress... Thanks again teacher!!! We can't see that in the video so i would like to know if Mr. Guzauski use spectrum analyzer when he mixing the low end. Nice video, nice techniques, nice passion for music communicated, enlighting ideas. Thanks for sharing. I noticed some changes with the final tutorial mix print and the real actual commercial mix and mastered version but I guess it's asbolutely normal since you can never do EXACTLY the same thing. Yes, what a beautiful production! And great mixing. "It's all about the balance" - must be the slogan of this video. Can you add cutted video with all automation process? So simple, so nice. Thank you guys. Another kind of music adressed in this video and other ways to process. Always a lot to learn, as usual. Great ! But yes, it's a real shame we can't download tracks for practice. It's already frustrating when songs are truncated, you know but it's worse when we got nothing to play with. Please keep in mind, one of the best features in Puremix is the high quality song tracks we can download and continue our experimentation by ourselves after watching videos. Where are the tracks for download?? Cannot see them. I could listen to this man talk and watch him work all day. Such an incredible talent and a personality that really makes learning from him an unforgettable joy. Easily one of the best tutorials on the site!! Thanks Mr G , thank you so very much for taking the time to make such an excellent and inspiring tutorial. Bloody awful shame about no exercise content to follow along with. Hilarious ending! Love his energy. I like this tutorial better than the Pharrell one. Happy to see him using Fabfilter plugins. Thanks so much for sharing! I'm pronouncing it re-VERB from now on - great video! This is good. Incredible mix.